Customer reviews play a vital role in the running of The Riverside Natural Health Centre. As well as taking pleasure from reading our customer reviews, and that our customers are happy with our services. We take all customer feedback on-board to try and better our customer experience. This page is to give our online visitors an insight into what our previous customers have to say about their own experience. 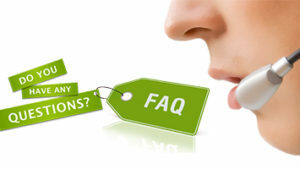 Read reviews about specific treatments, our customer service, and the overall service we provide. The Riverside Natural Health Centre think it is important to give customers the opportunity to write a review and share their experience after using any of the services provided at The Riverside Natural Health Centre. 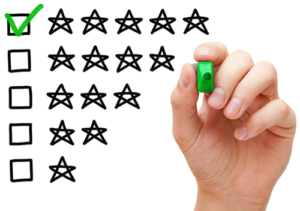 We appreciate all our customers who take the time to review our services. When leaving a review, please try and highlight your treatment and the level of customer service you received. Readers of your review are seeking accurate descriptions of what to expect and this is where you can really shine. A good review should tell the story about your own personal experience, but remember, the most important part of writing a good review is being honest. Your Health Centre was recommended by a friend who suffered similar problems with pain. Although I didn't have much hope, I am happy to report that the sports massage has helped in terms of pain relief. I have noticed a real difference to my suffering, so much so that I have now stopped taking my strong pain killers. I would be happy to recommend your business to other people. Could you please pass on my thanks to Sarah. After trying out my first session of acupuncture, I have come away feeling more positive. I can certainly feel a slight improvement since visiting Sarah today. That makes me feel very positive about my future sessions. Thank you for making me feel welcome. I am very pleased to report that since having 2 sessions of reflexology, the pain in my lower back is reducing..I will be visiting you again and hoping that the positive progress will continue. After using your health centre for a Swedish massage, I will highly recommend you to others. I chose to have a massage purely for pleasure and to relax. I will probably return and use your services again in the future. I have been attending Riverside for over two years. I was diagnosed with ME Fibromyalgia/Chronic Fatigue Syndrome. The chronic pain throughout my whole body is somewhat unbearable, at times reducing me to tears too. I sleep for roughly 2/3 hrs a night and am unable to return to a deep sleep, therefore drowsy most of the day. Riverside has helped me enormously, I have weekly sessions of Reflexology as well as weekly sessions of Acupuncture which is a massive help for my wellness. The staff are incredibly helpful and their knowledge of your health problems are second to none, always researching and advising on how you can apply your mind to thinking positively and other natural alternative medicines and dietary requirements you may want to apply to help you manage your illness. On that note I want to say a massive Thank you to Sarah, Nigel (acupuncture) and Sue (Reflexology) and Sue Hayes for helping me through this awful debilitating illness. Sally. I would like to pass on my appreciation of the personal and helpful service provided by Sue at Riverside, when I am arranging appointments and room bookings at the centre. She is always so thoughtful and flexible both to me and to my client. I was informed by my doctor that sport massage may help with the pain in my leg. Having noticed the large banner on Trent Bridge, I decided to ring Riverside to see if they could help me. I didn't really know what sports massage was (I thought it was for sports people) but thought I'd try it. Now having had two appointments with their sports massage therapist. I'm pleased to say that it has helped reduce the pain in my leg. I am happy with the service I received and will more than likely be visiting again to see if they can further reduce the pain. I was wondering if you could pass on a message to Toni for me? We just wanted to say a massive thank you to Toni for her work on improving our fertility as I am now 14 weeks pregnant! Sorry we haven't been in touch sooner but we wanted to get past the 12 week mark. We only had 2 sessions but I am sure it must have helped contribute to us getting pregnant after 2 years of trying with little success! I thought I would try acupuncture, I had tried everything else, herbal, diet, exercise to name a few. After just 3 visits to the clinic my life had been transformed into something near normal, with hot flushes now at 4-6 a day (and nowhere near as intense) at the most, and my sleep quality is much improved. If like me you are struggling with the menopause give it a go. Thank you Sarah you have changed my life. 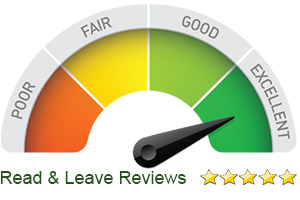 I feel that after using your services, your professional service deserves a review. Having felt down and stressed for the past few months, for a number of reasons. I thought I would try a therapeutic massage to try an alleviate some of the stress. I came across your website while searching in Google. Having booked in with your massage therapist, Ann. I am so pleased I did. Ann provided a fantastic therapeutic massage which really did make me feel a lot less stressed. I would appreciate it if you could pass on many thanks to Ann. I will most certainly be visiting again. Thanks again! Having had a work related back injury for the last two years. I had started to endure very bad backache. After doing some research about backache, I found that Sport massage may be able to reduce the aches & pains. 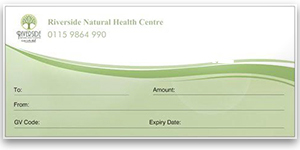 I decided to book a treatment at the riverside natural health centre ( I booked with Doug Wroe ). How glad I am. As I noticed a difference after the first treatment, I thought maybe another treatment would benefit me. After having three treatments with Doug Wroe, my aches & pains have practically gone. I would recommend this treatment to others, and also the riverside natural health centre. Happy customer. Such a friendly and professional environment. I would definitely recommend. This was my first visit here and first time I have ever had a sports massage which I thoroughly enjoyed and felt this helped me with my expectations of what I needed to help with my back. Looking forward to my next treatment here. Lovely facilities but most importantly excellent treatment, best I've ever had! Hello. Since having a fall and injuring my back 12 months ago. I have been experiencing sporadic, excruciating pain for the best part of the last six months. Having visited the doctor and trying strong painkillers, I was advised that acupuncture may be able help. Although I have always been a bit of a sceptic, I was in that much pain I thought I may as well give it a go. Let's just say that I am no longer a sceptic. Although I do still feel a very slight pain from time to time. Since visiting your health centre, I have benefitted greatly from my visits. I would highly recommend Tony, she has really helped with my suffering. Cheers. Sue impressed me with her efficient, professional manner and approach and I would highly recommend the Riverside for an effective solution for complimentary Health needs. My own treatment for a neck problem was dealt with by the therapist in a very caring manner. Your acupuncturist just blew me away… she's the first degree qualified acupuncturist I've ever met. Her approach was even better than anything I could have hoped for. I will be in touch with you again in the future. We had been trying to get pregnant for 4 1/2 years. I had Fertility Acupuncture with Toni for 8 sessions. This was to complement my IVF treatment and it worked! I'm so happy! Toni is professional, friendly and made me feel relaxed from the first session. I would highly recommend The Riverside Natural Health Centre for Fertility Acupuncture in Nottingham.